As a business grows, there will always be challenges it must tackle. A business often sees its operation cost rises, but fails to identify the reasons behind it. We call these the “hidden costs”; it’s like a stubborn disease, not only is it difficult to treat, it also takes a long time to treat, making it the biggest headache of a business owner. A meeting is a group activity in a business where people gather to solve problems or be informed of decisions made. It is a costly group activity because a meeting is usually an activity that involves many of those in the leadership or management team. Every minute in a meeting should be multiplied by the number of attendees’ value to the company to reflect the actual time invested in a meeting. Many in management don’t have the proper skillset for meetings, which results in the six lacks: Lack of preparation, lack of topic, lack of execution, lack of necessity, lack of time management, and lack of focus when speaking. SME owners often lose sleep over their P&L each month when it’s time to make salary payments but many are unaware that meeting costs significantly contribute to the sleepless nights. Every company has a different procurement process, but it is a significant cost for every company’s operation. We often only focus on the volume and prices of the purchases, failing to pay attention to other details. For example, whilst working on a new project, a company’s daily operation cost was $80,000, but on the eve of the new product release, the procurement department spent an entire week to purchase a $100,000 packaging deal, just to find the supplier with the lowest price, which led to a week-long delay of contract signing for sales. Unfortunately, this is a common occurrence in many businesses. Many people focus on the pursuit of the lowest prices, and fail to address “hidden costs”. Of course, lowering direct costs does not contradict with what we’re addressing here. What we’re saying here is that the procurement department in a company must consider all factors from the business’s perspective in order to truly control the procurement costs. Communication is an important part of business operations. Many businesses provide their employee with training on different soft skills, but most companies fail to provide training on communication skills. Looking at most enterprises, you’ll see that in most communication between colleagues, a lot can get lost in translation, ideas are not being expressed clearly, or everyone has a different interpretation on the same thing. In the best case scenario, this is making the operation very inefficient, and potentially losing many important opportunities; but it could also become a severe problem within an organization. Important announcements such as new product launches or new SOP guidelines should be communicated via one official channel such as company’s internet or bulletin board. All enquiries from other staff members regarding the new announcements should be redirected to the respective department or personnel only to ensure information is disseminated via one channel. One. Overtime is not always a result of a heavy workload, but low productivity and inefficient work processes. Two. Overtime requires more effort and energy from the employee, which is a burden on the employee’s health. Frequent overtime, in the long term, could limit an employee’s performance, preventing the employee to perform at his or her best. For example, A machinery operator could become fatigued due to frequent overtime, which may lead to workplace accidents, and therefore requiring the company to pay a hefty price for. Three. Whilst working overtime, the employees don’t always spend it on work-related tasks. Many employees use the company’s resources to conduct personal tasks while claiming overtime. Many losses of company’s internal data may happen during overtime as there is no supervision and more privacy. Many SMEs owners are over optimistic when projecting their future revenue and growth. When seeking a business loan in Singapore to support their expansion plans or to fund a new major project, they tend to underestimate or factor in the true cost of financing. All financing and fund raising decisions should be taken on a strategic level instead of just purely on a operational point of view. Aside from just factoring in the interest costs of a business loan, other costs should be taken into consideration. 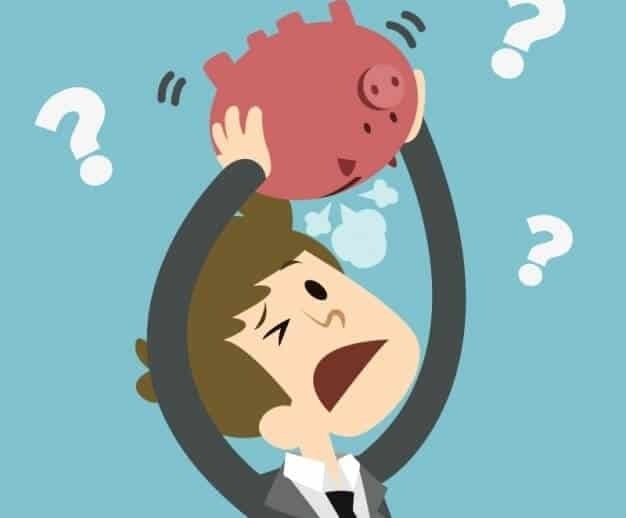 There are other hidden financing costs that might not be obvious to business owners whom are not savvy with SME loan financial products, such as processing fees, annual fees and other related costs. There is also opportunity costs to consider as well as a hefty monthly installment to be serviced might affect the company’s working capital and cash flow. The funds that are to be set aside for servicing loans might be better deployed to other higher value activities such as payroll for a senior and experienced employee or launching a marketing campaign. There are many other creative ways to secure financing instead of traditional bank loans and all viable options should be considered to come up with the most relevant method for the situation at hand. In human resource management, it is important to place the right person in the right position. Unfortunately, not many businesses can put that in practice. An effective HR process would include attracting and placing the right people in the right role. It is important to identify the strengths and weakness of your staff team and deploy them to suitable job scopes. By placing employees into roles and job scopes ill-suited to their particular skillsets and aptitude, performance and talent retention will be adversely affected. Again, this will indirectly lead to employee turnover costs. Every employee departure represents extra costs for the company because the company has incurred resources and costs to train this very employee when he or she first joined the company. Subsequent to that, the company must now train the new recruit who replaces the departing employee as well; in addition to the recruiting costs, the company also must consider the risk of placing the new hire in an unsuitable position. Furthermore, a senior employee’s departure could mean a loss of important business information or data, not to mention that the departing employee is likely to join a competitor. Therefore, the departure of an employee, especially a senior employee, is without a doubt, represents a higher expense than the salary paid to the employee. Many businesses appear unorganized because there’s a lack of proper process in place for the operation, which is a common mistake in business management. Behind every business that struggles to grow, there’s a chaotic or illogical process of its operation. They’re paying a high price for that, while failing to address the issue. A standard process is the chain of an operation. Without a reasonable, effective process, there is no systematic management of the different tasks which leads to different problems such as interrupted tasks, or tasks that need to be re-done. All of which limits the growth of a company. Idle resources are the most common “hidden cost” in a company, such as idle equipment and manpower. Although they may not consume the resources of the business, they’re still assets of the company, which means the company is burdened with maintenance and upkeep costs. The amount of idle resources also reflects the efficient (or inefficient) utilization of the resources in a company. Some say that the company culture is the soul of a company, and it is displayed in every employee’s attitude to work. The company culture is built into the company at the founding of the business, heavily influenced by the founder’s culture, habits, skills, profession, preferences, and such. This is why some people say that a company’s culture is really just the character of the founder. Many people may disagree that company culture leads to costs, however, it is true. You may notice that in some companies, the employees seem to be unmotivated, with low productivity. Regardless how talented a new hire is, the new hire either ends up leaving or becoming just as unmotivated. We often blame it on the “environment”, and the “environment” is exactly the company culture. A company culture is the company’s heartbeat that is here to stay, you can adjust it, but it’s very hard to re-create it from scratch. This cost involves the long-term return of a company, running a reputable company is just like being a reputable person. We often see businesses that have the tendency to delay payments to suppliers, employees, and banks, or even make frequent petty deductions on payments due to suppliers. However, in the long run, this may lead to a significant hidden cost for the operation. First of all, suppliers must have factored that into their prices, meaning a company like this will not be able to purchase materials or services at the lowest price. Secondly, delaying payment to employees or statutory CPF contributions is illegal, and punishable by law. Delaying payment to the banks on business loan repayments would also affect the company’s credit standing and future access to financing. And in the future, if the company is ever in a difficult situation, it would be difficult to seek help. These types of behaviors will only cost the company a fortune, without any benefit at all. It is every entrepreneur’s dream to scale a business and drive up valuation of the company in the shortest possible time. However, the faster you go, the riskier it might get. Especially for SMEs whom might be able to achieve fast growth in during initial phases, all it takes is just one crisis for the company to unravel. Case studies show that most business risks are due to the lack of planning or management. The problem’s root runs deep long before the actual crisis. And many large or famous enterprises fail just because they underestimated the risks involved in certain decisions. This is why taking on big bets and high business risks are a significant hidden cost. You may not be able to see it at first, but once it happens, it brings a serious impact to the company. It might be prudent to work on the fundamentals first and ensure the company has strong foundations which to drive future growth on. The “Entrepreneur Costs” refers to the hidden costs from the business owner itself. An entrepreneur is like a leader of an army, and usually the highest paid employee in the company. Many business owners consider themselves somewhat a king in their business, making decisions based on his or her own ideas and leaving the execution to the employees. But the personal flaws of the business owner may also contribute to the hefty costs of the operation. This is especially common in small businesses, but can also be seen in large enterprises. This can also be applied to each unit or department of a bigger company, considering every department has a leader, and every leader is the decision maker of his or her field. Many leaders put themselves in the center of the operation, which decreases the productivity and efficiency of the team, and increases the hidden cost of operation. A successful entrepreneur is one whom is able to create a company that is able to run by itself with minimal interference by the owner. Many small business owners common grouse is that it is hard to find capable and motivated young millennials. However what many company lack are not talents, but the ability to discover talents, and the wisdom to place the talents in the right place.